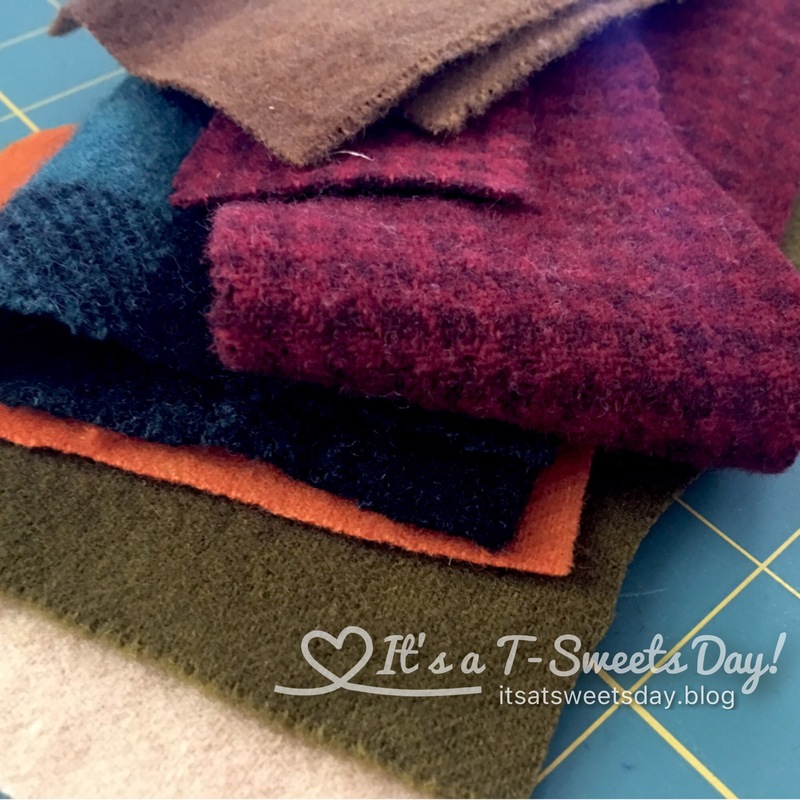 Meadow Backpack – Finally Starting – It's a T-Sweets day! 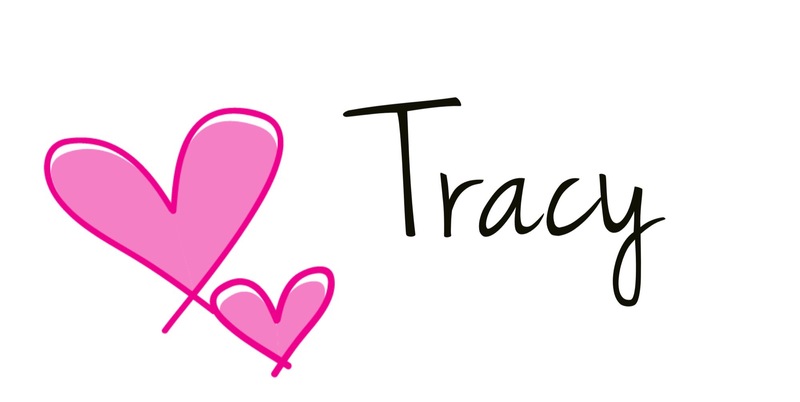 Published on March 11, 2017 March 11, 2017 by Tracy @ It's a T-Sweets Day! 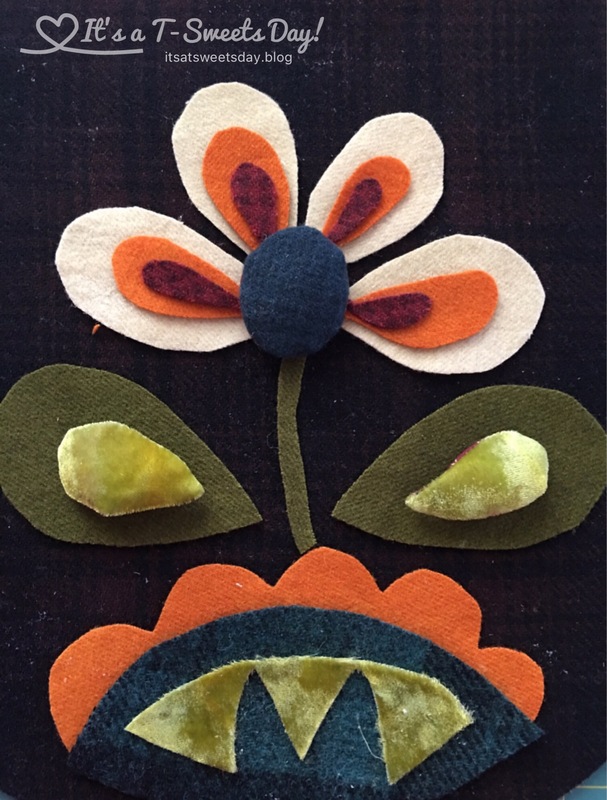 I am so excited to finally be working on my Meadow Backpack by Sue Spargo! Back in 2013, I went to a Buggy Barn Quilt Show Retreat with a friend and we each bought a backpack kit. Isn’t it so cute?! We said we would make it together in a little while, so I put it in a box in my workroom and waited and then kind of forgot about it. Well, due to unforeseen challenges, we were never able to get together to make the back pack. In my cleaning extraordinare over the past few weeks, I opened the box and there sat my beautiful kit! GIT-R DONE!!! I started cutting and sewing and piecing. Yea!!! So much fun:)! I sprayed the wool pieces on the back with temporary 505 fabric adhesive. 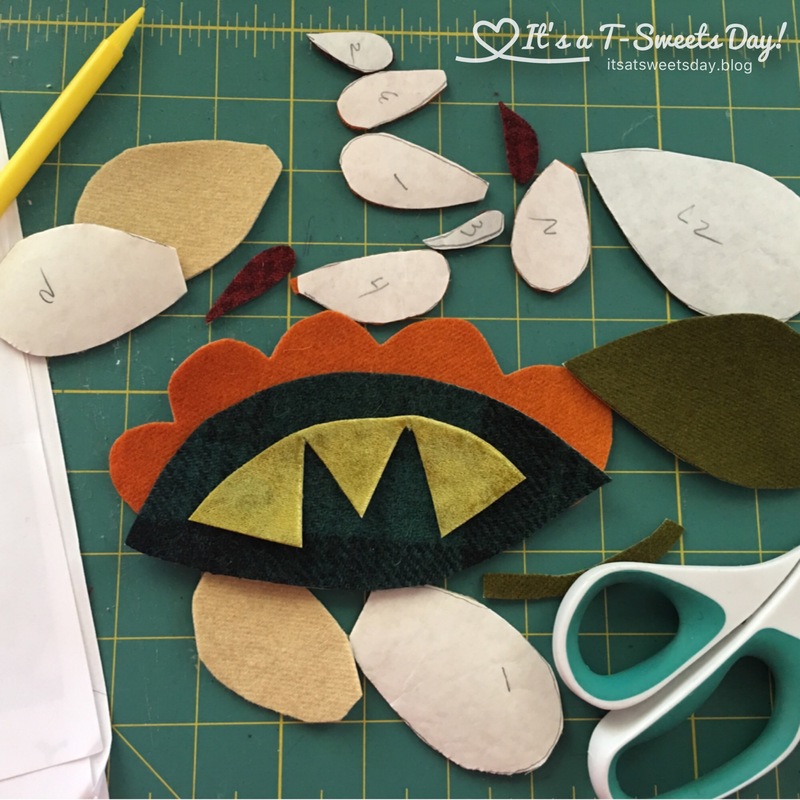 This made it easy to place them on my fabric flap so I could hand sew them down. Looking good! Now for the fun part…. Sue Spargo type embroidery:). I have never tried most of these stitches and the pattern didn’t include them. 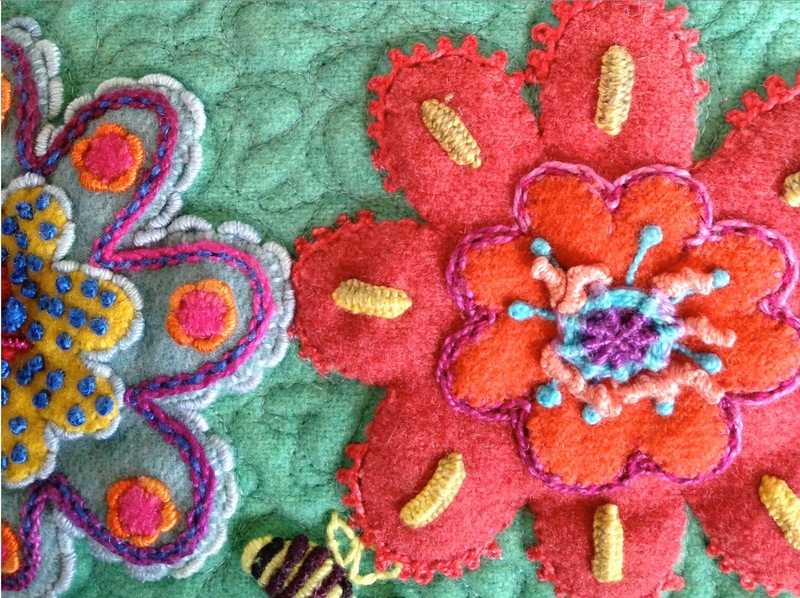 I am just looking at the pictures I took of some of her work back at the quilt retreat and am trying to match some of her stitches. Isn’t her work GORGEOUS?!! Well, I know that I am a novice at this technique, but I am always willing to try.:). Here I go…. 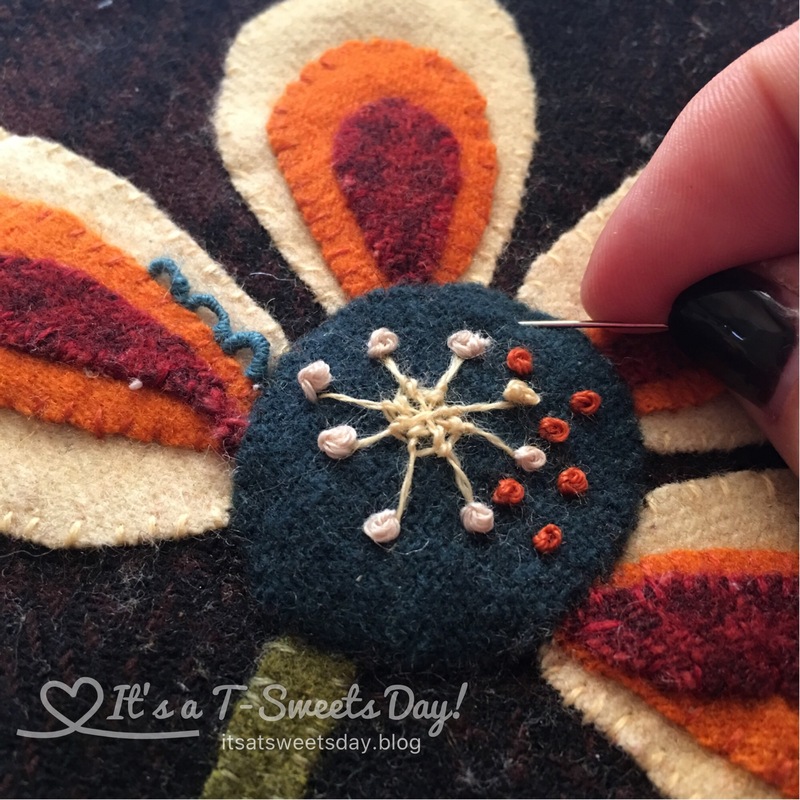 I am tying French knots, adding buttons and trying to learn that darn bullion stitch! I must say that I am totally loving this embroidery adventure. This back pack is going to be SWEET!! 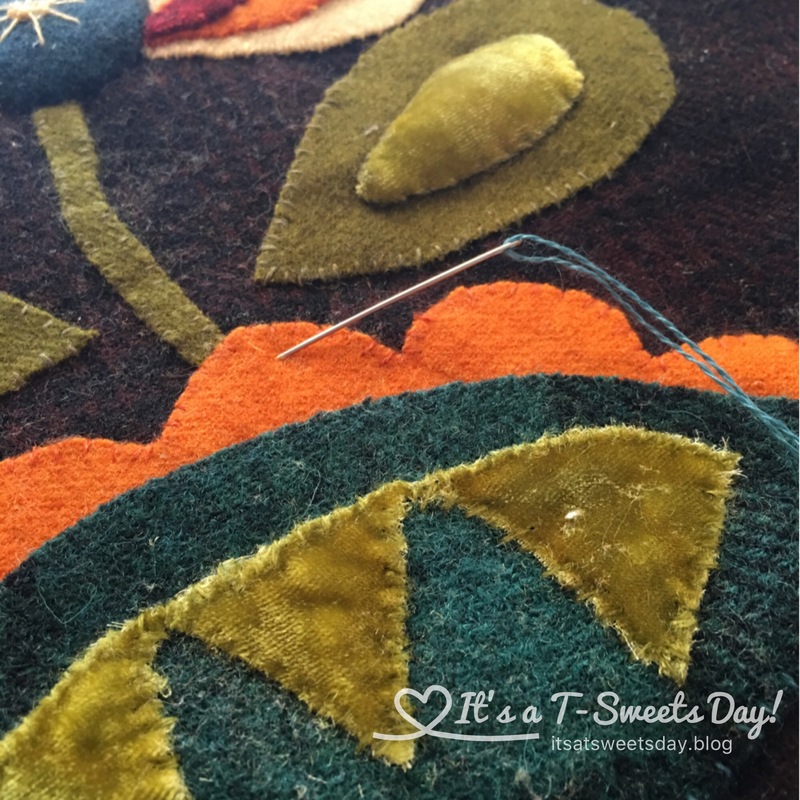 What a fun project…worth the cleanup effort just to find it!! That is the cutest most whimsical backpack I’ve ever seen!! It must feel like Christmas or your birthday with your clean up!! Hmmm makes me wonder what I might find if I clean out my closets!! So true! Ah the treasures in our closets:)! 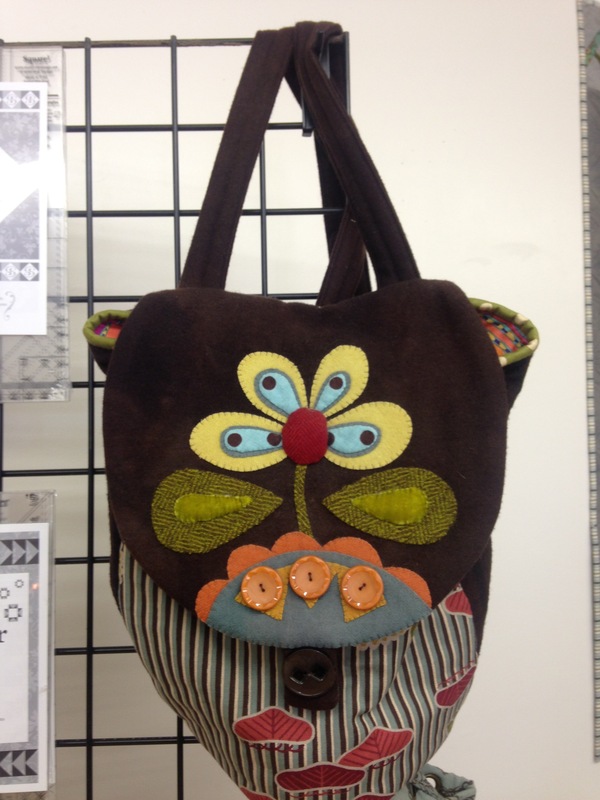 A wonderful backpack, but will you want to use it with all that work going into it? LOL You are doing a fine job on this. You are using a milliner’s needle for the bullion stitches, right? You need it because it has a straight eye, not one that curves like an embroidery needle. But your stitches look good. 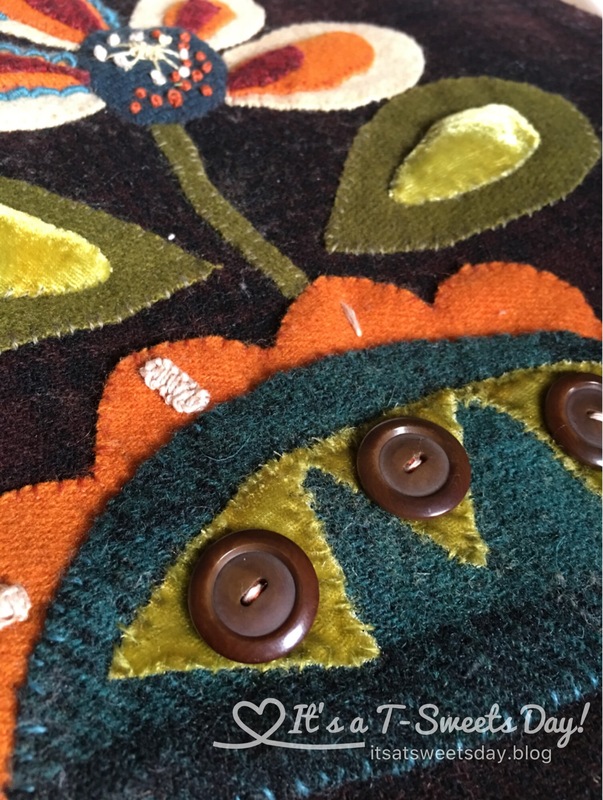 a blog with Sue Spargo projects. It is beautiful!!! Then everything you do is. Well done!